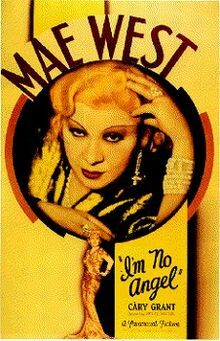 An upwardly mobile, flirtatious carnival dancer (Mae West) falls in love with a wealthy businessman (Cary Grant), but must defend her seemingly unsavory past. Grant: You were wonderful tonight. West: I’m always wonderful at night. West (to Grant, after refusing his money): You’ve got a lot of other things it takes to make a woman happy. Unfortunately, as enjoyably giggle-worthy as these innuendos are, they aren’t enough to sustain the paper-thin plot, which is based on the wholly preposterous notion that West’s sexual allure is enough to turn nearly every able-bodied man she meets to mush (talk about giggle-worthy!). This one is purely a vehicle for West to demonstrate her exaggerated sense of narcissistic self-worth — but film fanatics curious to get a taste of West would be better off watching her in a more involving vehicle. Note: I’m No Angel is also notable as the film in which West quips the infamous line “Beulah, peel me a grape” to her maid (Gertrude Howard). Nigel de Brulier (as Rajah the Fortune Teller): I see a man in your life. No; despite its historical relevance, this isn’t among West’s best films, and is only must-see for her admirers. Listed as a film with Historical Importance in the back of Peary’s book. A whole lot of fanfare precedes West’s first entrance in the picture. We wait breathlessly. She enters and…does nothing but walk. And the crowd is gaga. It isn’t just love interests or her circus fans that find West too wonderful for words. In the drawn-out courtroom sequence near film’s end (which seems to go on much longer than its 20 minutes), observers find just about everything West says hilarious. It isn’t. Whatever power the ‘innuendo’ in the material may have once had fizzled decades ago. 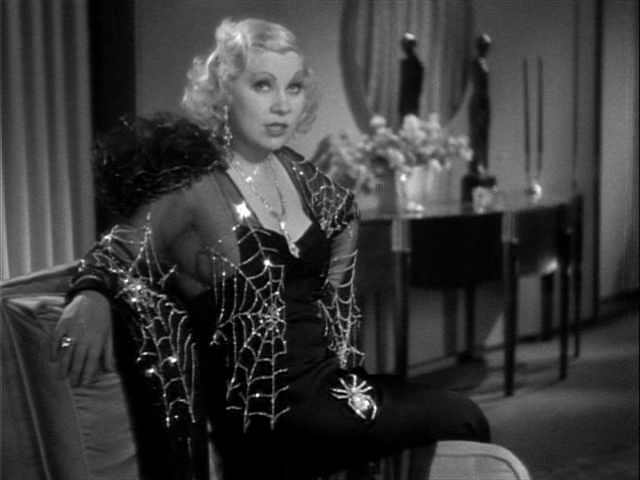 The film is nicely produced and directed, and West is dolled up in an endless parade of showy costumes (one of them with the motif of a spider’s web). But this is a lifeless flick, with West more or less lifeless in it.